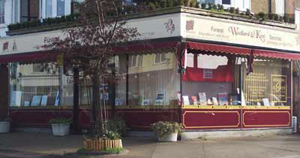 In 1996 Paul Goodall & Gerard Underwood started Kent’s Funeral Parlour in Swalecliffe. In 1998 Paul Goodall decided to leave and Mark Woollard took over from him. Gerard suffered a heart attack and sadly passed away, Gerard’s wife Anne took over Gerrard’s role until September 2001 when Nick Hardy joined Mark Woollard as business partners. The business has continued steadily grown ever since. In 2003 the business relocated to Tankerton to enable the services to be offered to a wider area of the community in comfortable and informal surroundings in which to discuss and finalise funeral arrangements. In 2005 the name was changed from Kents to Woollard and Kent Funeral Service. This was to help keep a family feel within the community, especially with the large national & international companies in the area. Due to our business growing we then decided to open a second office in Wincheap Canterbury 2008.